I was first brought into this matter just after I was first elected in 2007. 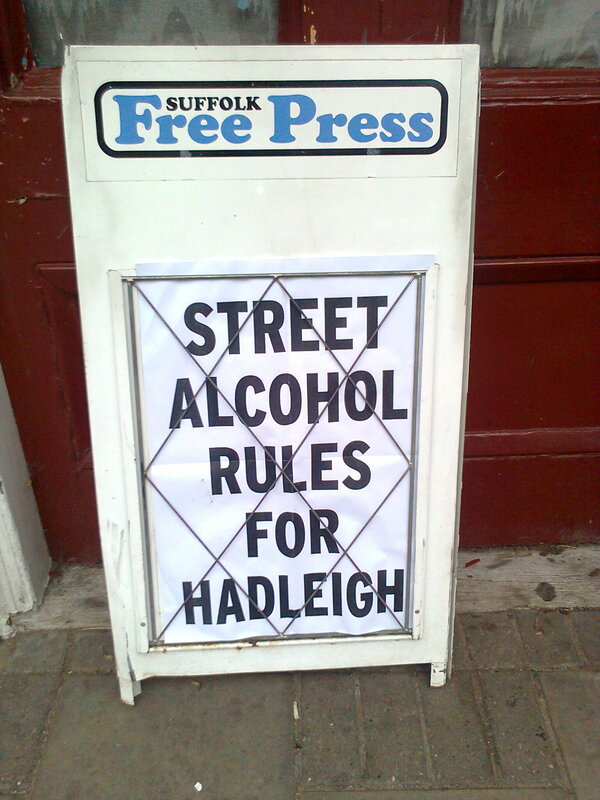 Hadleigh Town Council had sponsored a meeting to discuss the desirability of making our High Street (and its environs) an alcohol free zone. The meeting was overwhelmingly in favour and now nearly four years later we learn that the plans are in their “early stages” and required further consultation.” The last time I enquired I was informed that draft orders would come before the Council in June/July (just gone). What’s the betting that we’ll still be sitting around this time next year talking about early stages and further consultation?